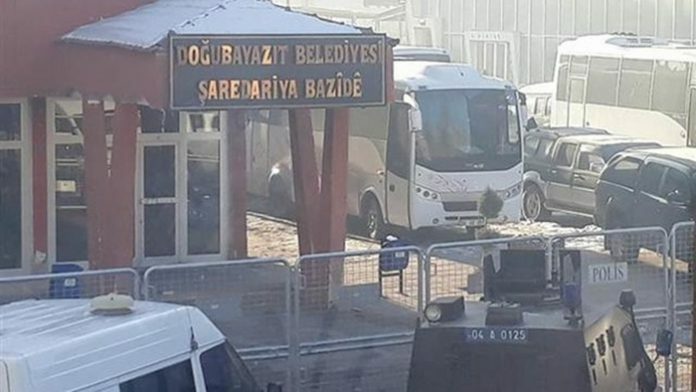 The Turkish Interior Ministry appointed a trustee to the Doğubayazıt Municipality of eastern Ağrı province on Tuesday, following the detention of Mayor Rohat Özbay of the pro-Kurdish Democratic Regions Party (DBP) the previous day, DHA reported. According to the report, District Governor Ulaş Akhan was appointed as deputy mayor of Başkale. Özbay, a deputy and 12 city council members were detained in an operation as part of an investigation into the outlawed Kurdistan Workers’ Party (PKK). On Sunday, the government appointed District Governor Abdulselam Öztürk as trustee to the Başkale Municipality of eastern Van province following the dismissal of Mayor İhsan Güler of the DBP. Mehmet Ali Tunç, mayor of the Muradiye district in Van from the DBP, was detained on Monday as part of a terrorism investigation.